Care for Your Mind is a strong proponent of shared decision making in depression treatment, the process through which providers, people living with depression (i.e., patients), and families engage in discussion about available alternatives, their pros and cons, and how those choices fit with the patient’s goals, priorities, and preferences. We also live in the real world, where not every provider is committed to shared decision making, not every person has a full range of treatment options available to them, and not every provider who would like to engage has the time required to undertake this thoughtful process. 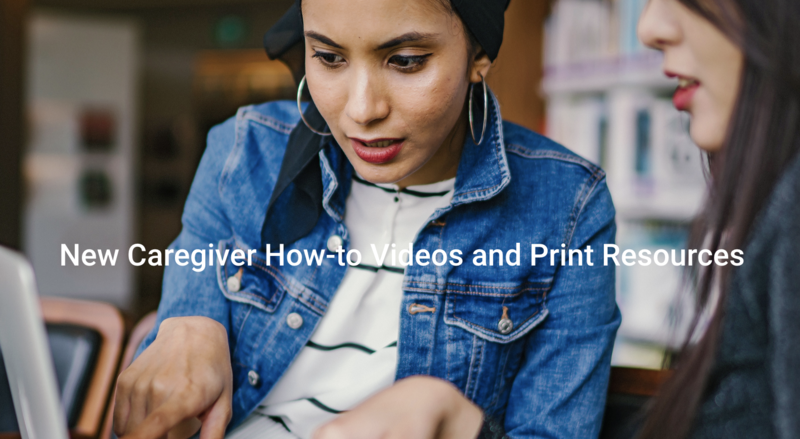 People living with depression can, in collaboration with their providers and ideally their supportive family members, make good decisions about treatment. We’d like to help equip them for this process. In order for people to advocate for tailored and appropriate care, they must know about depression. A person with depression might experience a variety of symptoms, such as loss of interest in previously-enjoyed activities and people; negative, sad, irritable, or angry mood; lack of self-esteem; feelings of hopelessness or guilt; and thoughts of death or dying. They might also have changes in eating or sleeping habits; weight increase or decrease; gastrointestinal issues; problems with fertility; decreased libido; and headaches, stomach aches, and muscular and other bodily pains without medical explanation. Often, people with depression will isolate themselves from others. Abuse of alcohol and other drugs is common among people with untreated depression. They may engage in non-suicidal self-harm, they may experience suicidal ideation and even suicidal behavior. Note: If you are in crisis, get help! In the U.S., call 1-800-273-8255, chat online at suicidepreventionlifeline.org, text HOME to 741741, call 9-1-1 for local emergency services, or go to the closest hospital emergency room. If someone you know is in crisis, support them in getting immediate help. Frequently, people who are stressed have difficulty thinking clearly. Depression, too, impacts thinking functions such as reasoning, organization, attention, and memory. 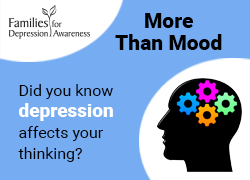 (Families for Depression Awareness refers to these as the “ROAM” symptoms of depression and offers several resources on depression-related cognitive dysfunction in the “More Than Mood” toolkit.) Many otherwise loving and supportive relationships have suffered because it’s not well known that people experiencing depression can have trouble concentrating, prioritizing, putting things away, and remembering tasks. Identifying and keeping track of the severity of your (or your loved one’s) symptoms helps conversations with providers be more productive. It’s important to consider each of life’s spheres and how depression has affected participation and enjoyment. Having a strong sense of the relevant symptoms and understanding the impact that depression has on a person’s life provide a solid foundation for constructive engagement with one’s healthcare provider. With this information, a person is better situated to name realistic treatment goals – such as what they used to be able to do but are not currently able because of depression – and consider their priorities and preferences for treatment. Which side effects – e.g., weight gain, drowsiness, sexual dysfunction – would be tolerable? Which are less preferable? Which are absolutely unacceptable? 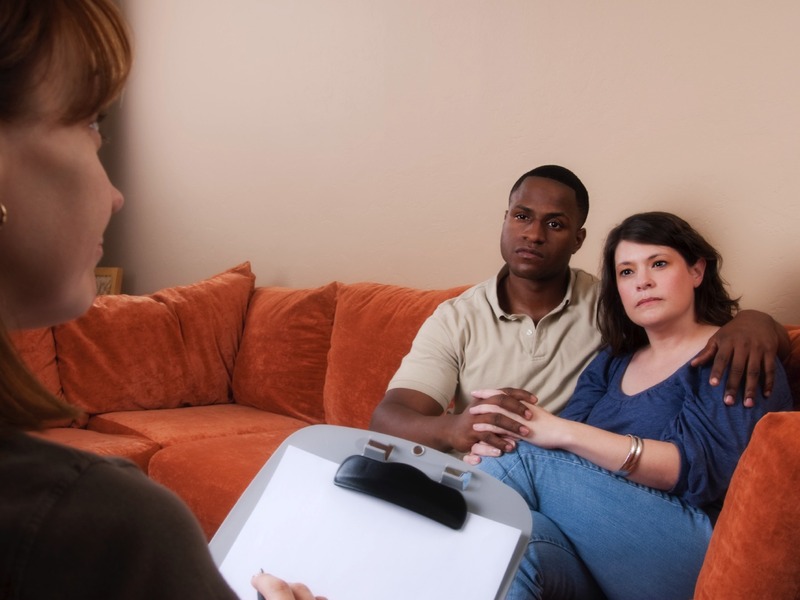 In reviewing treatment alternatives, a healthcare provider shares their expertise so that the person with depression (and their supports) can better weigh pros and cons of different treatment routes. We’ll continue to explore these issues in upcoming posts. What information about depression should people have before they see a provider? What has helped you to advocate for your care (or the care of a loved one)?